The Lindenwood University System has an expressed commitment to protecting the privacy of Personally Identifiable Information (PII) of its students, faculty, staff and other individuals associated with the University. The Lindenwood University System has an expressed commitment to protecting the privacy of Personally Identifiable Information (PII) of its students, faculty, staff, and other individuals associated with the University. The Lindenwood University System takes what it considers to be appropriate measures in the management of information systems, data networks, and processing to reasonably protect privacy in accordance with regulatory requirements. The Lindenwood University System (“LUS”) is provided with and/or collects PII for its use as an educational institution. These data may include, but is not limited to, name, social security number, financial and medical information, educational records, credit information, address, and tax information. Other demographic and descriptive data may also be provided and/or collected such as zip code, gender, age, and preferences, but is not considered to be personally identifiable information where such information cannot reasonably be matched to a particular individual. Unless otherwise required by law, or court proceeding, or as a matter of necessity involving risk to life or health, the Lindenwood University System will not share PII without the prior written consent of the data subject. If you have any questions or would like to make a data subject request, please complete and submit a Data Subject Request. PII may be provided, collected and maintained from prospective/current/former students and their parents/guardians, prospective/current/former employees, and external individuals and entities with which the university transacts business. PII may be provided, collected and maintained in various formats including paper forms and as electronic data stored, for example, on servers, computers, hard drives, and databases. LUS may take such steps as it deems proper to dispose of this data or to render it inaccessible by normal means of retrieval. Such steps may include, for example, to shred paper forms, purge electronic data and/or electronically wipe or physically destroy hard drives containing PII. LUS seeks to limit access to PII to authorized individuals based on job requirements necessary, in LUS’s view, to conduct University business. Employees of the University are expected to respect and protect the confidentiality of PII and employees failing this expectation may be subject to discipline. The Lindenwood University System may offer training to employees on PII according to job function and type of data access allowed to promote compliance with the University's Privacy and Personal Data Protection Policy. Protected data may also reside and/or be accessible to third parties who are contracted to deliver services to the University, such as insurance companies, banking institutions, credit-card processors and software companies. LUS’s contracts with these third parties should include provisions which LUS believes oblige these third parties to refrain from sharing or selling data supplied by LUS and to take measures to reasonably protect privacy according to University policy and law or regulation. The Lindenwood University System does not intentionally release PII without disclosure or consent of the individual unless required by law or to comply with legal proceedings or as a matter of necessity involving risk to life or health. The U.S. Patriot Act dictates that PII may be given to Federal agents without the knowledge or consent of the subject of the PII and that the Lindenwood University System may be restricted from informing the subject about the request. Should a data breach occur, the Lindenwood University System may notify those individuals it considers affected, supply details about the breach LUS deems appropriate, and take measures LUS deems appropriate to minimize the impact of the breach. Following an incident, LUS operating procedures call for an internal review of events and delineation and implementation of steps to help prevent similar incidents in the future. The Lindenwood University System encourages all its constituents (students, faculty, staff, vendors) to be knowledgeable about their own responsibility and opportunity to protect personally identifiable information. 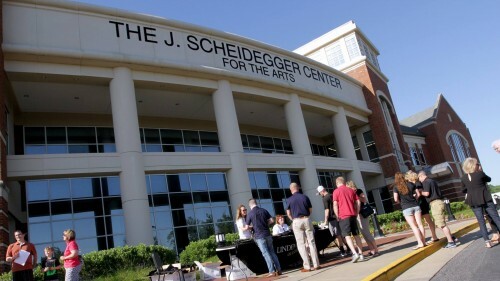 Lindenwood University and affiliated third-party vendors collect certain information regarding your use of www.lindenwood.edu, such as your IP address and browser type. Your session and the pages you visit on www.lindenwood.edu will be tracked, but you will remain anonymous. We may use your IP address to identify the general geographic area from which you are accessing www.lindenwood.edu. We connect data from different systems but do not link IP addresses to any personal information. We may also collect other information as described in this policy. Most sections of Lindenwood University-owned websites utilize Google Analytics to analyze website traffic on our domains. Google Analytics does not create individual profiles for visitors. Google Analytics is software that provides business insight and marketing trends without compromising the privacy of users on the web. By using the Lindenwood University website, you agree that we can place these types of cookies on your device. During your visit to our website, you may be prompted and choose to provide Lindenwood University information through web forms, email, or other electronic means. The information provided will be used only for communication about the relevant purpose indicated. Any information you voluntarily provide to us, such as an email address, name, or phone number, will never be sold or traded to other colleges, universities, non-profit organizations, or businesses. Lindenwood University complies with the protections detailed under the Family Education Rights and Privacy Act of 1974 (FERPA or the Buckley Amendment). FERPA is a United States federal law that governs the access of educational information and records to public entities such as potential employers, publically funded educational institutions, and foreign governments.